A remorseless ranger. A sentient hell hound pelt with a penchant for pyromania. An irksome pixie who sells intrigue and information. Three companions who find themselves trapped in a city filled with warring priestly factions, devious machinations, and an angry fiend. 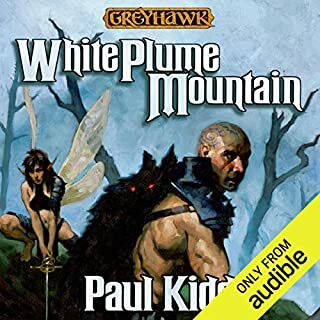 To save the city, they must find three weapons of power, which lie in the most trap-laden, monster-infested place this side of Acererak's tomb: White Plume Mountain. Return of the Lazy Dungeon Master builds off of the concepts of the well-received GM's guidebook Lazy Dungeon Master, updating that book with five years of new experiences, new approaches, and new observations of the way people prepare and run RPGs. This new book is a completely self-contained work, which does not require anyone to have previously heard the Lazy Dungeon Master. Return of the Lazy Dungeon Master offers a new focused approach for preparing and running our roleplaying games. Tired of the political machinations of his egotistical fellow wizards, Benelaius retires from the College of War Wizards to take up residency in Cormyr, where he lives peacefully until he and his legman, Jasper, are forced to investigate the murder of a messenger from King Azoun. Bhaal must be stopped! Someone is sabotaging the iron mines of the Sword Coast, pushing powerful realms toward a bloody war, and a young mercenary toward an unimaginable secret. 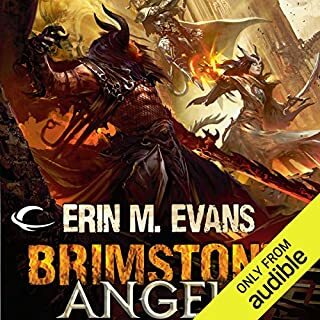 Evil gods, giant spiders, murderous doppelgangers, flesh-eating ghouls, and wicked Zhentarim come to life in the action-packed novelization of the Baldur's Gate computer game form BioWare and Interplay. 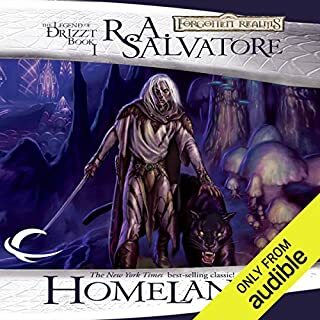 ©1999 TSR, Inc. (P)2012 Audible, Inc. I know the bar is pretty low for these kinds of books, but this is an extremely boring and poorly written novel. The author wastes so much time with dull and unnecessary tangents. The entire romantic subplot is tedious from start to finish and not at all reflected in the game. And how can you write a novelization of this RPG without Minsc or Imoen? The plot of the video game is a tight narrative, and the author should have just stuck with that. His changes might be forgiven if they added something, but all they did is subtract from the source material. Just play the game, the book is too goofy. The main character is simple and boring, easily forgettable. His dialogue and actions remind you it's a guy playing a video game,impish and far too casual. The story was great in the game, but this re-telling fails. Awful. Just simply awful. There is absolutely no plot lines, just a series of events that seems to happen. There is no character buildup and the supposedly protagonist is like the least developed, one dimensional character Ive ever come across. Stephen Seagal movies seem Shakespearian in comparison. Avoid avoid avoid!!! Sadly, there isn't much to this book. The narration is only alright, while the story itself fails to capture much beyond the bare-bones of the original story of the game, and absolutely nothing of its feel. This would presumably be fine if the book was good in its own right, but here it fails as well, killing off most characters before they leave an impact beyond offense of their misrepresented personalities. However, the biggest nail-in-the-coffin of this book is the main-character himself, whom completely fails to be a likable protagonist, and only manages to be bareable by the very end. No one has any reason to go through this book, and if a person likes Khalid and Jaheira, it should be avoided like the plague for its crimes against these characters. 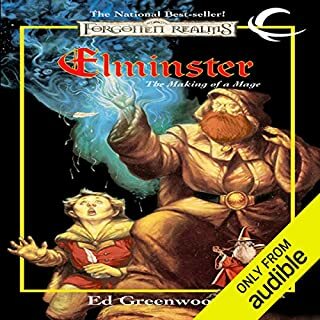 Having been an avid fan of the Baldur's Gate games then listening to this story I went in with the expectation that the story would not match the game. However, it was enjoyable I still couldn't help to think this was a world that Mr Athans didn't quite understand or couldn't picture very well. Mr Cooper constantly fumbled words and names throughout the book. Names he would say correct multiple times then incorrectly a chapter or two later. Katana, Abdel, Jaheira, Sarevok to name just a few but overall he did a good job with the voice complexion for the main characters. What would have made Baldur's Gate better? The story seems to be completely made up and does not follow the story what so ever. What could Philip Athans have done to make this a more enjoyable book for you? Author needs to seriously play through the game before attempting to recreate the story in novel form. Which character – as performed by Fleet Cooper – was your favorite? Performance was ok at best. Characters we somewhat believable however, I get the impression that the narrator never played the games either. No redeeming qualities in this book. I can not even finish it. This is a Baldur's Gate flavored story with characters and locations from the game but does not justify the epic story that was the original game. 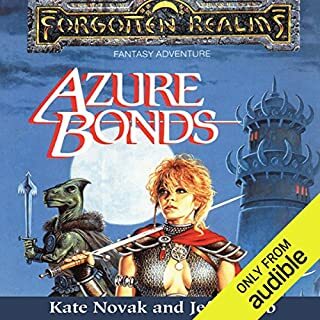 This was my very first novel I ever purchased and read on my own without being told to read for school, I instantly fell in love with the story as a teen and have been hooked on the forgotten realms ever since. The story was dark and brutal in a very interesting way and unlike anything I had experience before. 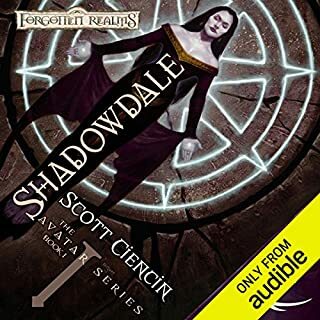 So just recently joining audible I felt it only right to return to my roots and this was the first audio book I've ever purchased and listened to and although it's not as I disliked the story I feel a lot of the plot and the writing has holes when compared to the novels I've read of late the characters are rather bland and it's really hard to care for any of them but when all was said and done I still did enjoy the overall story of the children of bhaal so for those who no not his name this series will introduce you into a whole other world of evil. 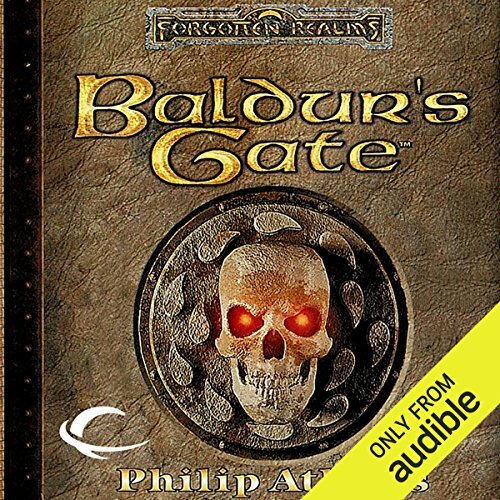 Would you consider the audio edition of Baldur's Gate to be better than the print version? Can't tell, i haven't checked the written version. I loved the way it moves through the video game campaigns, and how it narrates the battles. In addition, I really enjoyed Abdel's personality. It might be a spoiler, so spoiler alert here. I loved that scene when Jaheira asks Abdel if knows who killed Khalid. The narrator is awesome! He probably makes all the difference, he gets really involved, in character, and makes the story so much fun. Apparently Phillip Athans had a deadline of two months to write this book. If this is true then it might explain the poor writing, however he was replaced for the third book so this suggests TSR/WoTC had ran out of patience after his second attempt. I am currently running Murder in Baldurs Gate, a 5e D&D adventure that has Abdel and the Bhaalspawn as its main plot, I wanted to read this solely for background having not played the Baldurs Gate computer games for which the book is based on. For those who don't know the Computer game is set in the D&D campaign world created by Ed Greenwood. Now onto the performance of the Narrator. His voice acting is great, he has a wide vocabulary of accents he can dip in and out of, and believe me this is a skill, as a Dungeon Master this has always been something I have struggled with, there are those that can do accents and those that can't this guy can. This is the only reason he gets 3 stars. However he is just a poor reader. Simple sentences have incorrect intonation, he emphasises words in sentences that don't need emphasising, it's a real shame, I hope he listened back to his performance and realises for the second book because I'm not looking forward to it. If you are a fan of D&D then it might be worth reading/listening, if you have no clue what I have babbled on about then don't bother, trust me, it's awful.